After an incredible back to back win on Thursday and Friday against St. Anthony’s A and B teams, the Lady Firebirds of the Varsity Tennis A team came together at Crunch Fitness for their season’s S.O.S. (Service Over Self) project. 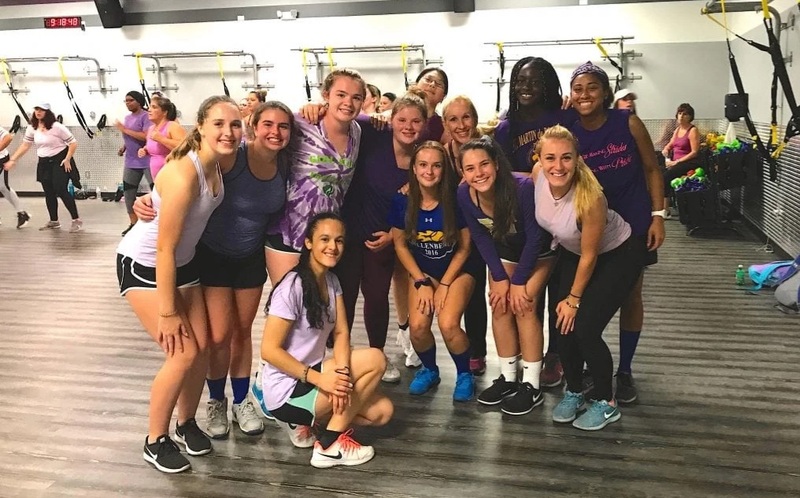 After their Friday afternoon matches, athletes and coaches joined to support epilepsy research by participating in a “Zumbathon.” “All you had to do was donate, wear purple, and have fun.” said senior and captain, Isy Odiaka ’19. “You had to pay $20 for a ticket which went to the proceeds.” The team and their coaches were ablet o raise over $300 in support of epilepsy research for their S.O.S. project this year.